Ròya International CEO, Kees Hartzuiker says there is a misperception in the industry that asset managers are "almost like auditors and we are always there to find fault". He adds: "I disagree with that so strongly." He says: "My phrase that I always use is that 'my job is to make the operator the best possible operator for that piece of real estate'. "His advice to both sides is that asset management is not about finding fault, it's about having a common vision, a common understanding, common priorities and working together. Hartzuiker takes the example of setting budgets, which he says should be a rational process but it becomes often all emotional one. "There is a natural tendency for hotel operators to have a 'glass is half empty' approach when it comes to setting targets because that's what they're going to be measured against , and the investors will always have a 'glass is half full' approach because they obviously want to maximize the returns for their investment - and that is where Ròya can play a fundamental role in finding the correct balance." The development and advisory hospitality consultancy firm welcomed Kees Hartzuiker to the role of CEO five years ago in 2011. I meet him in Ròya International's office located at the Shangri-La Dubai on Sheik Zayed Road, on the day when rains were pouring down on the Emirate. The pitter-patter of the rain on the glass windows does nothing to dampen the enthusiasm Hartzuiker shows for the industry. Taking what Hartzuiker calls a "classic career route", he worked his way up through the industry before landing his first general manager role in Europe and added a few openings to his repertoire. his experience with Hilton, he says, is what whetted his appetite of understanding not only the operations side but also the development side of hospitality. This is why, he says, he's working with the UAE- based firm. "Ròya represents the other side of the equation, because at the end of the day, it is the hotel business, but in reality the hotel business is a by-product of a real estate business. What we do here in Ròya and my responsibility today with the team is to develop the smartest real estate for the hotel industry." "And then, of course, working with the hotel management companies to make sure once the product has been created and the investment have been completed, that we maximize the returns." Hartzuiker candidly says that in decades gone by, hotel real estate was often seen as a trophy but "today there are hard-core numbers that have to be achieved". While Hartzuiker is a hotelier by trade, he's quick to say that not all of his 60+ team are so. "This surprises most people," he says with a smile. "We want to make sure we are not jack of all trades and masters of none. We really have people who specialize." We acknowledge there are subject experts and we bring them at various stages of the project [where] they take the lead. "The specialist knowledge is needed in a workplace which deals with many aspects of the hospitality industry. 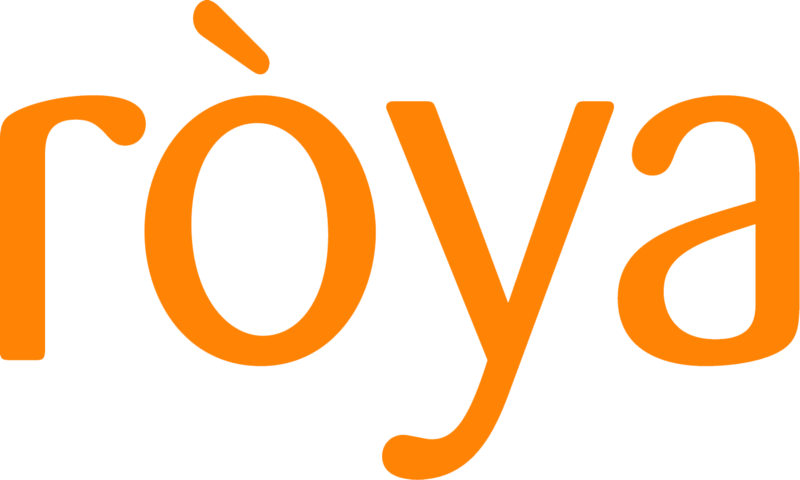 Ròya as a company has evolved to include three streams: hospitality advisory, asset management and F&B. Overseeing all aspects of Ròya International, Kees Hartzuiker leads an interdisciplinary team of 60 consultants and specialists, and is charged with key areas such as development advisory, asset management and hospitality services. His career has seen him in senior roles in three continents, initially in Europe, followed by Middle East and North Africa, and then Asia. Prior to taking up the role at Ròya, he was CEO of Rixos Hotels, he worked with Hilton International, where amongst many responsibilities, he drove all food & beverage development across the Middle East and Asia-Pacific regions. Most recently, as vice president for Asia, he led the company’s operations during its growth in Asia and the Asian subcontinent. The UAE, Qatar and the Kingdom of Saudi Arabia are areas where the firm has been active recently, and its next point of interested is Iran, Hartzuiker says: “ Whilst it will still take a bit of time, there is a huge appetite and demand for hospitality and hotels. In fairness, the infrastructure has been lagging behind, and a lot of people want to go to Iran, and it’s not just for one reason. He ticks off business, the leisure and cultural potential, and domestic tourism as being gold mines of opportunity for the hospitality industry. “No one is in doubt of the opportunity for hotels in Iran, it’s a matter of how to get it done. We are very fortunate that we have been in touch with the market with quite some time, so we already have solid relationships. We have a good understanding of where the market is, where the hurdles are and how to overcome it. We are in advanced discussions with the development that everyone will soon know of, and it looks like we will be playing a very instrumental role in that development. Hartzuiker says one of the biggest trends the industry is trying to address is the change in how travelers now purchase “The OTAs have a huge chunk of the business, and frankly speaking the brands are struggling with how to manage that whole situation. I think some moves have been made and I’m sure the industry will sort it out at a macro level, so to speak. But what I want to point out is that this also needs to be addressed at the hotel-level. Another debate, which Hartzuiker thinks isn't being discussed enough, is the relationship between the hotel operating company and the investors most of which is expressed in the hotel management agreements. “It’s again archaic; it was designed 30-40 years ago and in essence it hasn't changed and it needs to realign itself to today's situation." Currently, he says brand operators are being rewarded in a "fairly blanket kind of way", which needs to change. The zero risk model for the operator is not going to last forever, he opines, because "a real estate developer is being inundated by brands and hotel management companies all willing to take on the property". Investors will soon look for a shared risk philosophy, and due to the historical nature of management agreements they are still too operator-friendly, and need to be more balanced, according to Hartzuiker. He admits that while both parties need to be equally protected, his issue is with the clarity of the document itself. "We, as asset managers, focus on the return for the investor, which is driven by the amount of operating profit that is being generated and by the amount of fees that the operator legitimately is taking for that we always want to keep an eye for that." He continues: "The fees that are clear in these big management agreements only cover about half of the actual expenses of the management company and the brand because, in particular through loyalty programs, a lot of the additional charges are brought." Hartzuiker is confident about Roya's future (he estimates the asset management portfolio will have doubled in the next two to three years), and pays tribute to the firm's founder Ahmed Ramdan for his commitment to the development of Emiratis in the industry. 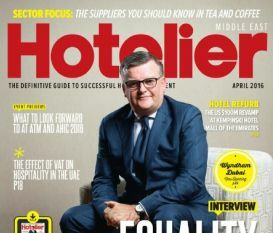 And Hartzuiker himself has been appointed to the board of governors of the Honourable Order of International Hotel General Managers. "Why do we do these things? Apart from the fact that I was a general manager myself. I, more than anyone recognize in our asset management role, the power of the general manager on the outcome of the business. In that sense, the hotel general managers' roles are not always recognized enough in terms of the impact they have on the business." I ask whether through the group's business operations and social activities, the team has the power to effect the changes he's discussed. "Absolutely, asserts Hartzuiker. "We can have a lot of influence but the ability to execute is often constrained by the global organizations these people have to perform within. They have recognized it, but to organize a change in a global format is a complex costly and complicated thing." He concludes: "But there are lots of green sprouts coming up all over the place and we are the ones constantly watering those to get them to bloom."